Shade tolerant herbs add texture to a shady spot. Success in shade gardening can be chancy if the right plants are not incorporated. There are several herbs that will fill those spots and help keep the area from looking weedy, as well as supplement the household kitchen. Among the herbs that will grow in partial shade are rosemary, dill, germander, and scented geraniums. These will also grow in full sun, where they will have better success, but they will also thrive in those partial shady spots that need some greenery. Geraniums are an annual and a good choice for a shady spot. Geraniums must be re-planted every year. Rosemary is grown as a perennial in zones 8-10. If there is a hard winter and the temperature drops below 10 degrees Fahrenheit, the plant may die. Dill is also grown as a perennial in zones 2-9. Germander is grown as a perennial in zones 5-9. It is cultivated for its oval shaped leaves and aromatic red or purple blooms. Germander is propagated by layering, cuttings, or divisions of mature plants. Deep shade areas are those that receive two hours or less of sun per day. 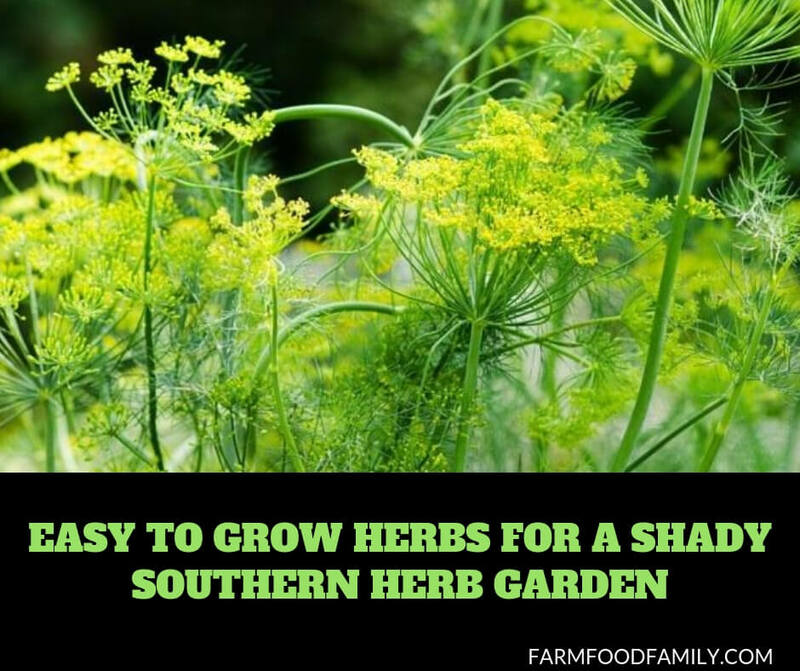 Shade tolerant herbs grown in these conditions may or may not flower, but the plants should survive and add a nice green texture to the area. Three of the easiest deep shade herbs to grow are the mints, lemon balm, and catnip. One of the most shade tolerant herbs in the south is mint. Mint burns easily in the sun, especially the hot afternoon sun. Mint is easily grown from seed and comes in many varieties, such as spearmint, peppermint, chocolate, lemon, and apple, also known as pineapple mint. Keep the soil moist where mint is growing. It loves water and is a good choice to grow in water areas. Mint can be an invasive herb if allowed to spread without barriers. To avoid invasion, plant it in containers that are at least ten inches deep. It is grown as a perennial in zones 5-9. Lemon balm is another shade loving herb that is easy to grow. It may be started from seed, cuttings, or from divisions. It prefers sandy soil. Pick lemon balm leaves often to add to teas and meat dishes. This help keep the plant thinned to avoid powdery mildew. Insects are not usually a problem with lemon balm. It is grown as a perennial in zones 4-9. It is also called sweet balm and sometimes bee balm. Catnip is one of the easiest herbs to grow. It will thrive in sun or shade. It can be sown quite easily from seed and can also be grown from cuttings. It self-sows rapidly and can be an invasive herb if allowed to propagate on its own. It will grow to approximately three feet tall and its heart-shaped, toothed leaves are very pleasant to look at. It blooms small white blooms throughout the summer.